Jesus!! Sorry that it has been so long since I updated my website. A lot has happened recently. I finally got my puppy so that has been a lot of work and time, and I recently brought on a friend to help shoulder some of the writing load for Bloodshed. We have been killing it lately, and are writing what I think is some really exciting stuff. 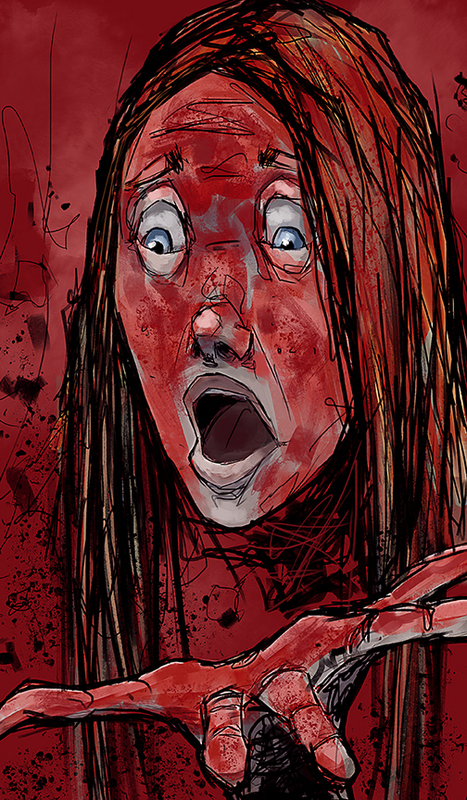 In the mean time here is some new art from chapter 2 of Bloodshed. 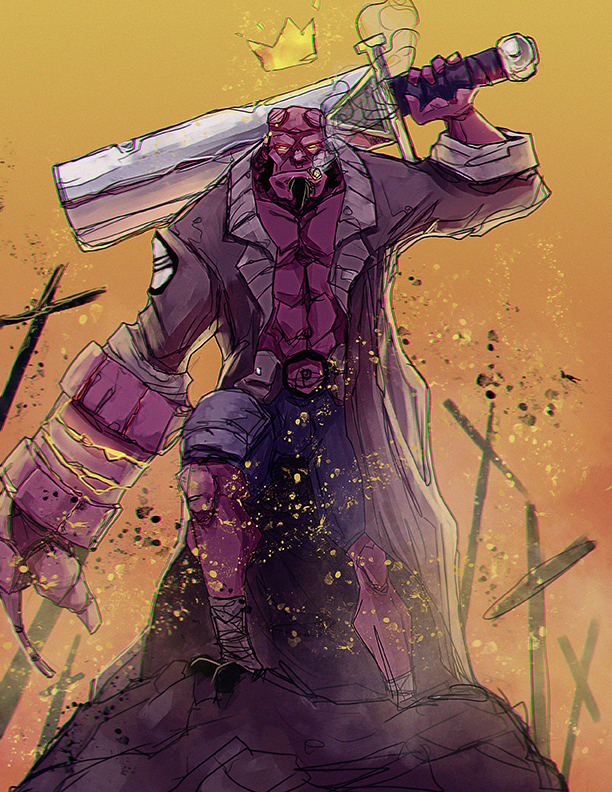 Felt like doing a little fan art today of Hellboy. Mike Mignola is one of my all time favorite artists and heroes. Here is a fun Stranger Things piece I just finished. Work on Bloodshed is going great. The first chapter art is pretty much done. Now I just have to take a few days to do all the lettering and boom! One chapter in the books. 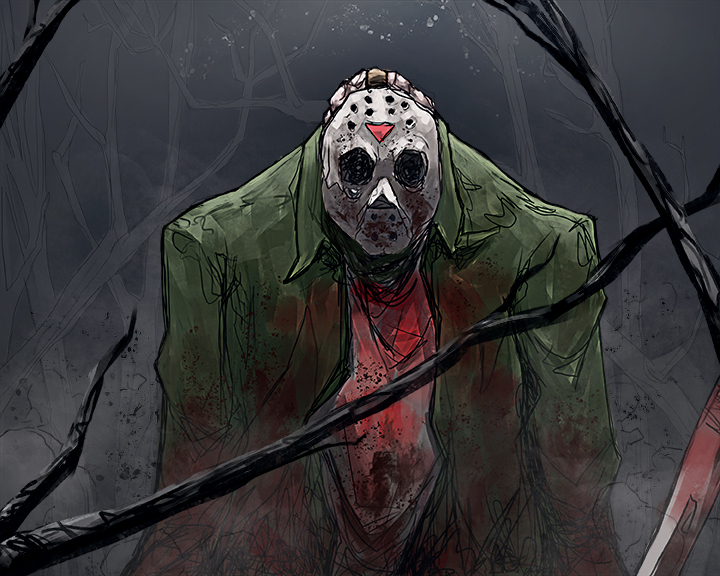 Here is a little bit of art from it. So its been a little while since I have done anything on this website and I thinks its about time that I stop neglecting it. Here are a few images I did over the Halloween season, and some I did while in Maine with my girlfriend. I also updated the gallery/portfolio section of the website. These were all kinda quick paint/sketches. Felt like painting this after watching Underworld Evolution today. It was nice to take a break from Bloodshed. It is also fun to watch my style evolve into a much more graphic stylized approach. I love true blacks and the old super painted style made me stray away from them. Anyways this is just a quick fan art piece I did of Marcus and William. Enjoy. 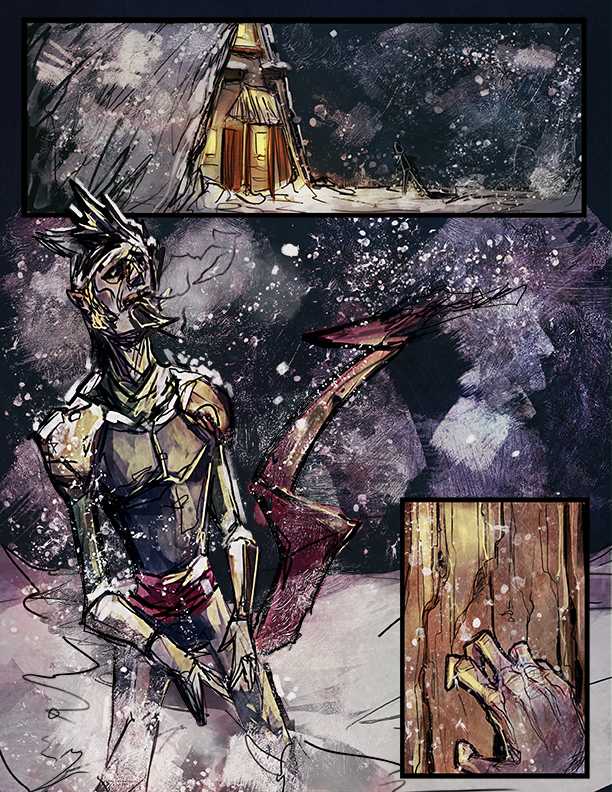 Here are some new panels from Bloodshed. I can’t wait for this to be finished so I can show the finished product. New Spawn movie is finally happening!!!!!!!!! Im so excited I decided to do a quick spawn sketch to start the day. Hey guys here is a page from Bloodshed that I just finished. I’m happy with all of the reworks so far and I’m excited to get it out to you all. Unfortunately for some people I have decided against releasing it as a webcomic. I hope this doesn’t make anyone too mad. The schedule of trying to keep up with this as a webcomic honestly just did not seem possible. I want to really give you guys my best and spend as much time as it takes to do so. I don’t want to worry about disappointing fans if I don’t meet a posting date. I will keep you all informed on when its getting close to being ready . But in the mean time I’m thinking of starting a new project that I will work on here and there when I just need to take a break from Bloodshed. It will be a webcomic. Again I will keep you guys informed on when and where you can check it out. Thanks for looking. Hope you all enjoy the direction the new pages are going. Hello all. I’ve recently been watching a lot of the tv show Gotham. I gotta say, I didn't like it at first but now I’m hooked. I really love seeing young Jim Gordon’s story. The sketch above is old Jim but he is my favorite and I just couldn't resist doing a quick paint of him. Been kinda quiet lately on posting and I’m sorry. I don't know about my fellow artists, but sometimes I go through periods where I’m just not into anything and feel super lazy. Well I’m starting to snap out of it finally!! This is a quick little sketch/paint I did last night before working on some more serious stuff. This guy might turn into a character for something fun I’m cooking up for a later date. Also I have started completely reworking the first 20 pages of bloodshed. I feel that a lot of the content was rushed and I hadn't completely decided on a style. Now I feel like I have really found a comfortable workflow and style for the book. I’m very happy with what I have done so far and it is definitely looking leaps and bounds better than the original. As the pages are reworked I will be reposting them for everyone to read. Please check them out I think you will all enjoy them...or atleast I hope you do. Well that is it for now. Thanks for the support and patience, and stay tuned for more in the very near future. Hello all! Here is the first Jon and Arya piece. I had a really good time on this one and like I said before I’m gonna do another one with a different composition so keep an eye out for it. Also about to dive back into the book and there are some really big changes coming for that also. Thanks for looking. Well Vancouver was beautiful and my lady and I had a lot of fun. Today is my first day getting back to my normal schedule. This was a really fun piece to do. I came up with it after seeing the movie Logan. I honestly didn’t expect the movie to hit me the way it did. It really was just an incredible movie not just a super hero movie. And I’m not gonna lie it hit me pretty hard emotionally. It was very hard to say goodbye to such an iconic character. Haha I know he isn't real but I totally grew up with this guy being one of my all time favorite heroes. I took a much different approach to this painting in the way that I never really just buried myself in it like I usually do with my pieces. I would bring this guy out and work on it an hour here an hour there and I honestly enjoyed the process so much more. I found that I never dreaded working on it. I think over the years I have developed so bad habits in my process. So after finishing this guy and seeing the results I have decided to adopt a much more relaxing way to work. The goal is to work on pieces for no more than 2-3 hours a day and just have more pieces going at once. And if I don't feel like working on a particular piece then I don't work on it. This for me is just a much healthier way to work I think. I don't grow to dread or hate my paintings. Instead I find myself wanting to work on them, and in the end I think the end result is just much better. You do your best work when you enjoy what you do, and I think I have finally realized that. Right now while I'm trying to build a following and make a name for myself I’m not making any money, so why not do whatever the hell I want. Well thanks for looking and I really hope you all enjoy this piece. Like always feel free to drop me a comment or whatever. Got some fun stuff planned so keep your eyes out. Hello all. Been a few days since I blogged. Sorry I’m still trying to get into the habit of doing it every day. Hope everyone is enjoying memorial day. This is just some sketching I was doing of an upcoming character I will be introducing to Bloodshed. Not gonna go into who she is but she is gonna be one of the main characters more than likely. Also not sure if this is what she will look like. Will probably be doing some photoshop paintings of her soon to really work out her armor and costume stuff. Been nice doing most pencil sketching but i think its about time to get back to the paint grind. I have a lot of stuff that needs to get done for the book not to mention a bunch of pieces I want to get started. I am definitely gonna keep doing some sketching everyday though, even if its only like an hour or so. I can already see a change in my art for the better. I’m not so dependent on using paint and brush strokes to kinda cheat certain things I might not be strong at. Line drawings are very unforgiven and for me personally if I can draw some thing efficiently with just lines I can paint it much better. I think its because if you can draw something well with just lines then it means you have a strong understanding of how its built. Anyways hopefully I will have some fun stuff for you all this week. But I will be going to Vancouver for the first time with my lady to celebrate our 5th anniversary so we will have to see how much I can get done in between that. Thanks for looking guys. Hey guys! Here is a little sketch of Vali and Surtur. The two main characters from my comic Bloodshed. Like I said in my previous post, I’m trying to get back into ink sketches. It’s super fun for me to do these quick 30 minute or under sketches. The thing I like the most about them is the energy you get from them. The goal is to bring the same motion and energy to my more finished pieces. If you guys are interested in reading the book just follow the link. Its still very early in the book so there isn’t a bunch of content yet but I am working hard to change that. Once we have a good amount of content I’m gonna see what I can do about getting it printed. Also if you guys have any sketch ideas for me let me know. I think it would be really fun to do some sketches for you all. Sometimes I’m just a blank so it would be nice to just sketch what you all tell me every once in a while. Well thats gonna do it for today, think I might go work on some pages for the book. Like I said if you are interested in the book go to the link at the top. Thanks to everyone who looks and feel free to leave me questions or comments. Took a break from the book for a few days and have been playing a lot of dark souls 3 so it motivated me to work up a dark souls piece. Enjoy, and look out for new Bloodshed pages this wednesday. All content by Bradley Phillips. Do not use without permission.